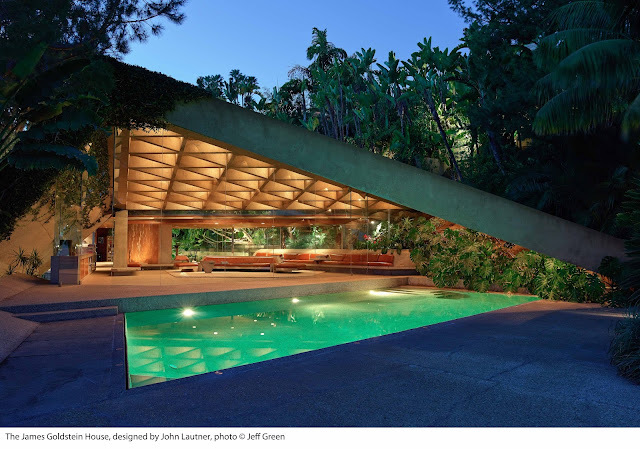 The Los Angeles County Museum of Art (LACMA) announced today that fashion and basketball aficionado James Goldstein has promised his John Lautner-designed home, its contents, and the surrounding estate to LACMA. The promised gift, which is in a new area of collecting for the museum, includes a James Turrell Skyspace in its extensive landscaped tropical gardens, an infinity tennis court, and an entertainment complex. Mr. Goldstein’s extensive fashion collection, works by artists including Ed Ruscha, DeWain Valentine, Bernar Venet, and Kenny Scharf, architectural models of the property, and an iconic Rolls Royce Silver Cloud from 1961 are included in the gift. 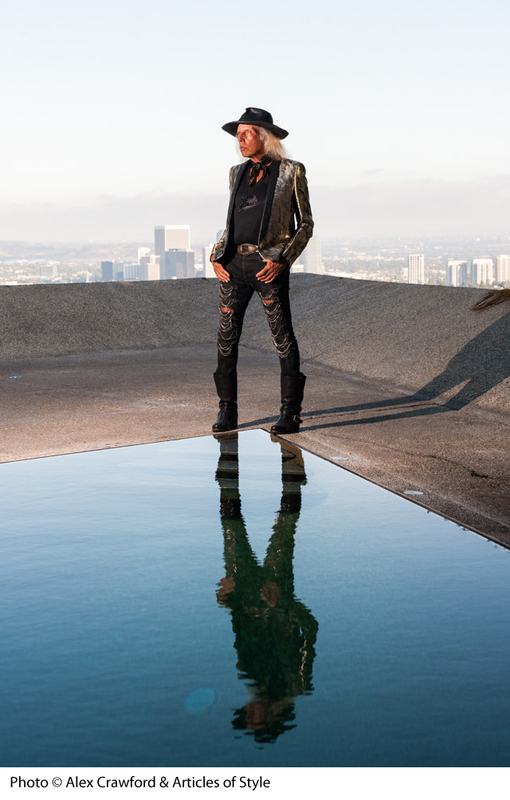 The James Goldstein House represents a one-of-a-kind collaboration between an architect and patron over more than 30 years. Built in 1963 for Helen and Paul Sheats by John Lautner, the house was purchased by Mr. Goldstein in 1972. Beginning in 1979, when Mr. Goldstein brought the architect to the house, until Lautner’s death in 1994, the two worked closely together to rebuild and adapt the house according to Lautner’s and Goldstein’s ultimate vision, from replacing all the glass in the house to blur the line between the indoor and outdoor to collaborating on custom-built minimalist furniture made of concrete, wood, and glass. More recently, Mr. Goldstein has been completing an entertainment complex on the property inspired by the main residence and designed by Duncan Nicholson, the last architect hired by Lautner who has worked on The James Goldstein House since his beginnings at Lautner's firm. Construction continues to expand and enhance the space, as well as to develop and maintain the extensive landscaping. The James Turrell Skyspace, Above Horizon, is located deep in the tropical gardens of the property, and links to major works by Turrell in LACMA’s permanent collection—the Ganzfeld Breathing Light, and the Perceptual Cell Light Reignfall. 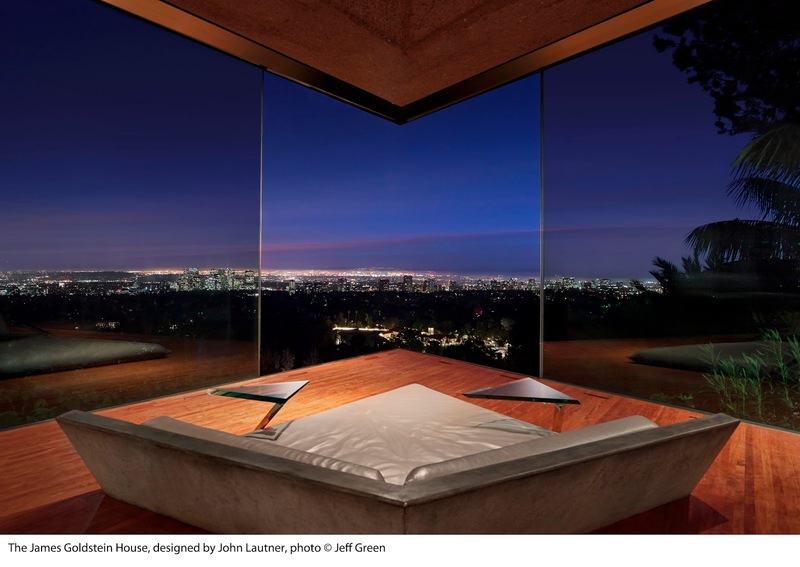 This collaboration between Mr. Goldstein and James Turrell took place over four years and was completed in 2004.
was one of the most significant architects to have worked in Los Angeles. 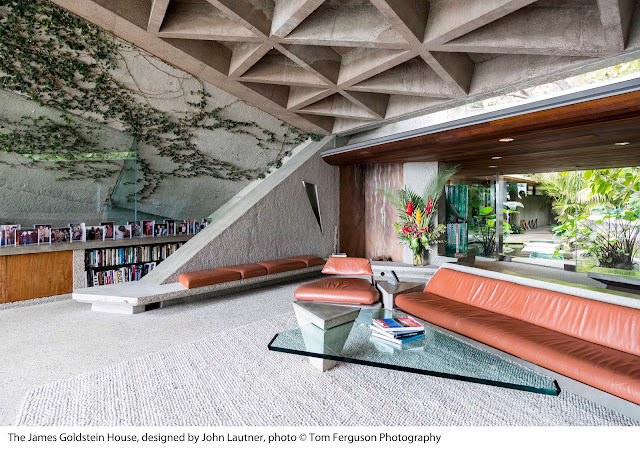 A disciple of Frank Lloyd Wright, he designed from the inside out, often blurring the lines between indoor and outdoor with his use of materials and emphasis on transparency. 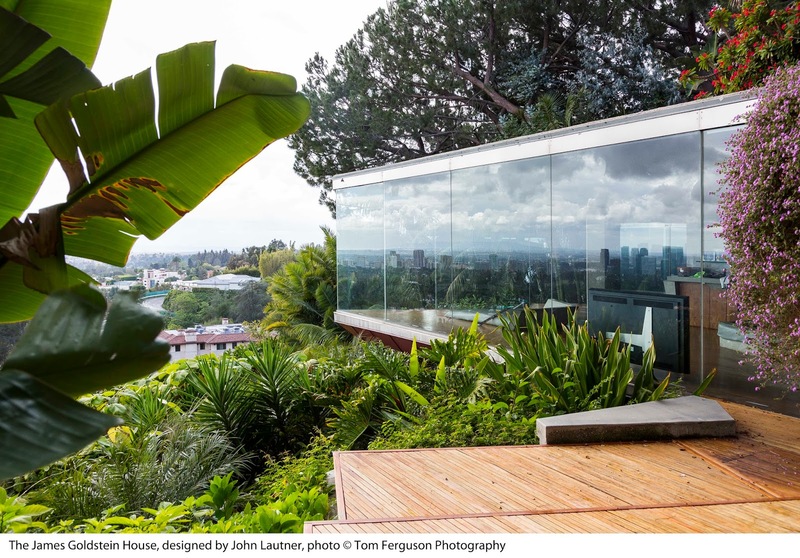 The James Goldstein House enjoys spectacular views over the Los Angeles basin, encompassing the Pacific shoreline and stretching to the hills and mountains.